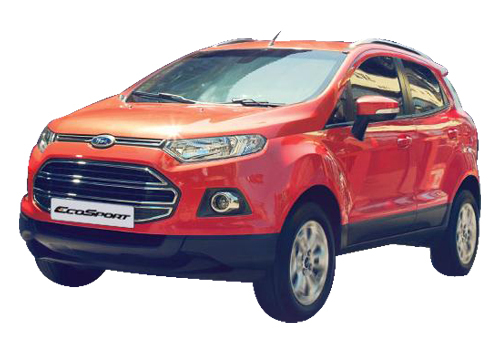 Official launch of the much awaited compact SUV, Ford Ecosport in domestic market is just around the corner. And, just ahead of launch; variants, features and specification details of the vehicle have been out. As per leaked details, the Ecosport will be offered in three engine options like 1 Liter EcoBoost turbo petrol engine, 1.5 Liter Ti-VCT petrol engine and 1.5 Liter TDCI turbo diesel engine. Price for the base variant of 1.5L petrol engine model could start at Rs 9.50 lakh while the base variant of 1.5L TDCI diesel engine would be offered at Rs 10 lakh. In terms of features, specifications and pricing the new Ecosport SUV will be tough challenger of hit SUVs including Renault Duster, Mahindra Scorpio and Mahindra XUV 500. There are four variants of the vehicle are in the offing like Ambiente, Trend, Titanium and Titanium Plus. 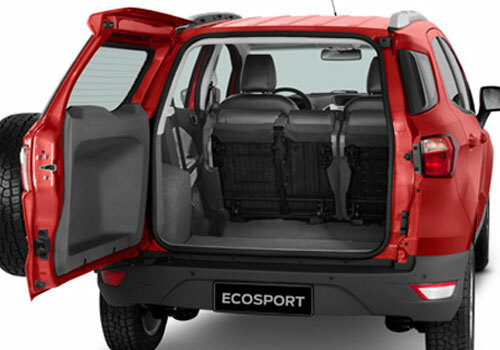 The base variant Ford Ecosport Ambiente comes equipped with features of Audio System with Bluetooth and USB support, Central Locking, Electric Wing Mirrors, Multi function display, Front Power Windows, 15 inch steel wheels and Flat folding rear seat. This base variant will available with 1.5L petrol and 1.5L diesel engine models. The Ford Ecosport Trend variant carries Rear Power Windows, Power socket at the rear, Body coloured wing mirrors, Defogger and wiper with washer, ABS with EBD, 60:40 split rear seat, Steering mounted audio controls, Silver trim for door handles on the inside, Rear parcel tray and Height adjustable driver seat. This mid variant of the vehicle is also available with both 1.5 Liter petrol and 1.5L diesel engine model. The Ford Ecosport Titanium variant has been loaded with features of Ford SYNC infotainment system, 16 inch alloy wheels, Front arm rest, Twin airbags, Cooled glove box, Leather wrapped steering, Reverse parking sensors, Roof rails, Automatic climate control, Chrome tipped exterior styling bits and Front fog lamps. This trim of the hit SUV is available with 1L EcoBoost turbo petrol engine and the 1.5 Liter Ti-VCT petrol engine which are mated to a 6 speed PowerShift dual clutch automatic transmission. The Ford Ecosport Titanium Plus top-end variant comes equipped with features of Push button start, Leather seats, Side and Curtain Airbags and Keyless Entry.